This is a die cut Borden’s Ice Cream porcelain sign. This particular Borden’s Ice Cream sign is predominantly navy with red and white text. 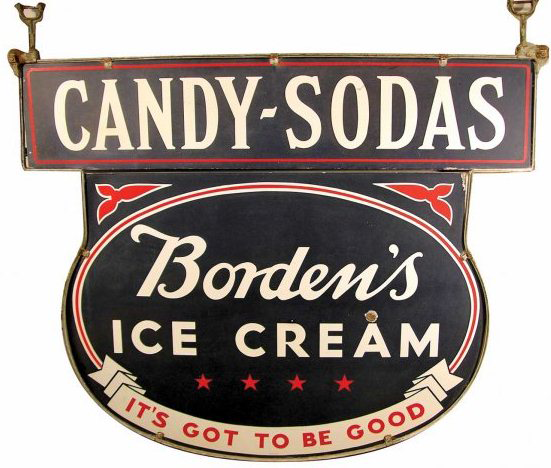 It reads, “Candy-Sodas, Borden’s Ice Cream, It’s Got To Be Good” and features four red stars near the bottom of the sign.